And that is that. Boos greet Arsenal. What a defensive display from Southampton. What a performance from Fraser Forster. Arsenal now five points behind Leicester. Plenty for Arsene to think about. I'll leave him to it. Hector Bellerin crosses, Fraser Forster claims. He looks every inch an international player, the Saints keeper. Lucky England. Four minutes of the added time are up. Laurent Koscielny blazes a pass straight out of play. Superb work from Saints defender Virgil van Dijk, who runs deep in to Arsenal territory to win his side a throw-in and the chance to eat up vital seconds. Gabriel is into the book for a foul on Matt Targett. It gives Southampton a dangerous free-kick on the left but Arsenal are able to keep it out. Soon after, down the other end, Fraser Forster saves a low shot from Aaron Ramsey. The board is up... six minutes to be added. Shaman Hussain: Sad to say, but this is just typical Arsenal. Giving you so much belief, slowly building hope and then crushing that belief during February. Being an Arsenal fan is not good for your health, that's for sure. More substitutions. 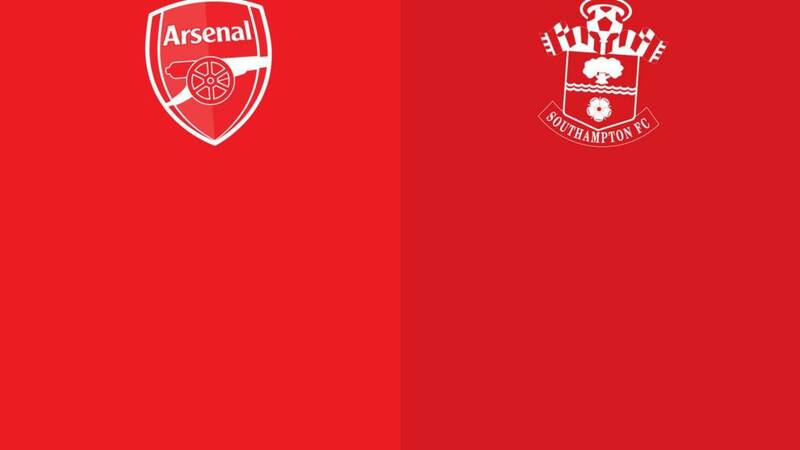 Arsenal send on Francis Coquelin for Mathieu Flamini and Southampton replace Sadio Mane with Matt Targett. Coquelin's first act is to get a booking for a foul. How have Arsenal failed to score? I'll tell you how in two words: Fraser Forster. Mesut Ozil is denied by a sliding challenge from Virgil van Dijk, diverting the ball to Alexis Sanchez, who is eight yards out but cannot beat the away keeper. Graziano Pelle is already on for Southampton in place of Dusan Tadic. And now Ronald Koeman sends on Juanmi for James Ward-Prowse. The Saints boss seems to be eyeing a win. Yet again, Fraser Forster is called into action to tip Olivier Giroud's header from a free-kick over the bar. Like a red rag to the ire of the home fans, Mesut Ozil's corner is easily headed away. Southampton are screaming for a penalty as Shane Long's hooked shot strikes Gabriel. Difficult to tell if it was a hand but the defender was very close to Long. The striker seemed convinced, though. Liam Grayhurst: Typical of Arsenal to choke on the prospect of a title challenge when we are nowhere near the business end of the season. Jose Fonte has been in the wars today for Southampton, no more so than now as a clash of heads leads to him needing his head patching up. It eats up a fair few minutes, meaning we should get plenty added at the end. That'll make things more dramatic. It just won't go in for Arsenal. Alexis Sanchez turns in the box and shoots low towards goal but it does not find the net thanks to James Ward-Prowse, perfectly placed to hack off the line. Oh, Laurent Koscielny! What a chance for the Arsenal defender. Mesut Ozil's cross is pinpoint to find him six yards out but he heads over. Fraser Forster to the rescue again! Theo Walcott has acres of space on the right side of the box but after blocking his first effort with his boot, the Saints keeper palms away his second. Soon after, Alexis Sanchez's header towards the far post is tipped away by the big keeper. Forster is again called into action but it is a comfortable save from Alexis Sanchez's header. The more Arsenal press forward here the more space Southampton have to break. Sadio Mane has twice threatened to do just that in recent minutes. It is a dangerous game for the Gunners to be playing, but then what choice do they have? Campbell has done nothing. He goes off and on comes former Saint Theo Walcott. The biggest cheer of the night greets a yellow card for Cedric Soares after he fouls Alexis Sanchez. The Gunners were looking to break after Oriol Romeu had seen a shot from range blocked.